In digital marketing, we often like to start by assessing an organization against criteria of best-practices. This process can take the form of an SEO audit or something brief and specific like verifying your Facebook page. I help businesses and organizations verify their Facebook page all the time and after a couple of quick Facebook searches, I have noticed that there are still a ton of DMO pages that have yet to be verified. 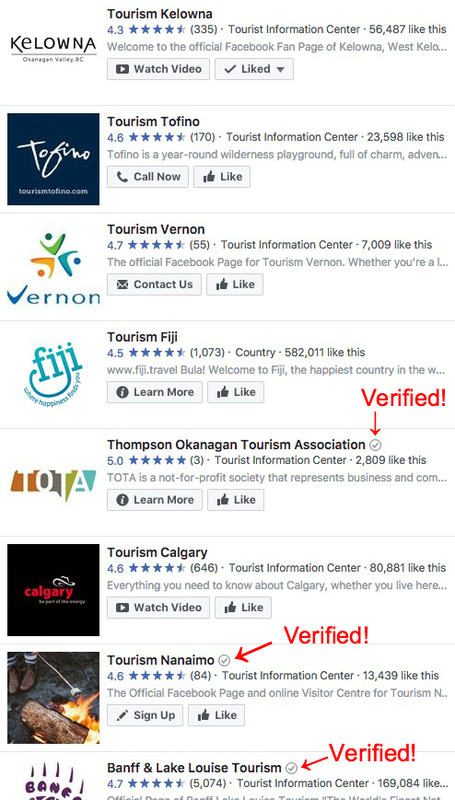 I feel page verification is even more important in the Tourism vertical, so let’s get to it! Page authority. Facebook has a newsfeed algorithm and a search algorithm. In order to improve your page visibility, ensure all the information is complete and up to date, has recent reviews, and verified. Facebook is likely to favour search rank and visibility on verified pages vs. those that aren’t. Navigate to your Facebook page settings. You will need to be an admin user on the page you are wanting to verify. From Settings > General, find “Page Verification” and click edit. 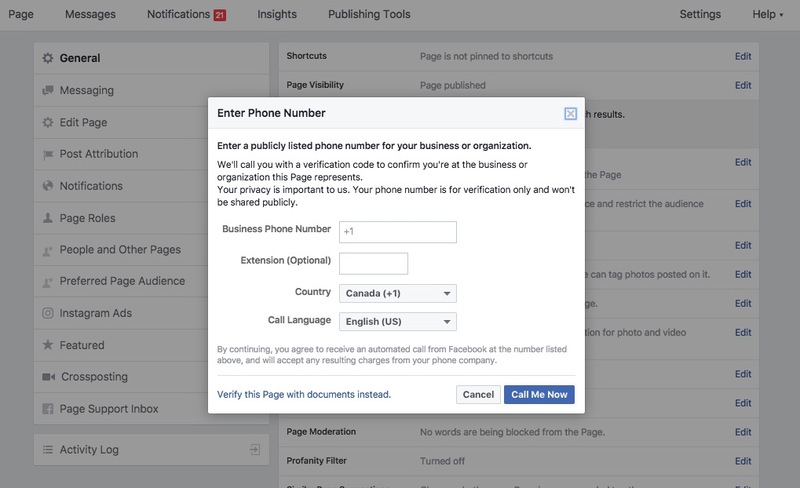 Facebook will want to verify your page by triggering an automated phone call which will deliver a 4 digit pin. Note: use the phone number that is already associated with that page. Confirm successful verification by refreshing your page to view a grey “check mark” next to your page name. So much of your digital success is made up of small, incremental improvements. Verifying your Facebook page is a quick way to improve your presence and with this momentum you can move on to more significant upgrades and best practices. If you had any challenges or verifying your page or wanted to share your experience, let us know in the comments or send me an email directly: scott@navigatormm.com.